@ComradeArthur @bob_owens Gonna go out on a limb and say people who don’t know how to teach buzzguns shouldn’t hand them to 9-year-olds. 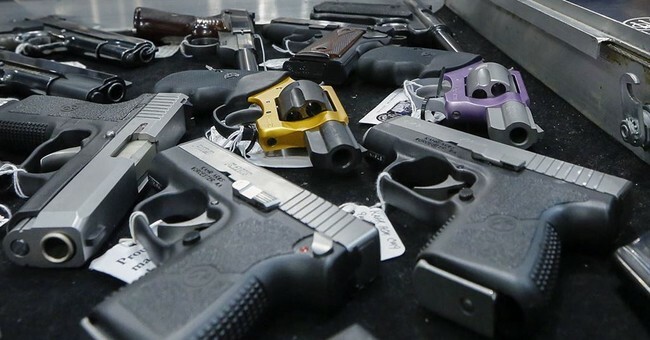 An instructor* at a gun range in Arizona was killed Monday morning after he gave an selective-fire Uzi with at least five rounds in the magazine to a tiny 9 year-old girl. He had her fire a single round before switching the gun to automatic mode, with a substantial number of cartridges in the magazine. A video of the event, taken by the girl’s parents, has been released. The video (thankfully) stops as the gun recoils violently to the girl’s left, firing a burst that ended with a round through the skull of the instructor. I’m not an Uzi expert, but the firearm in question appears to be a Mini Uzi, which is smaller and has a much higher rate or fire than the larger original Uzi. There are proper ways to teach people to fire submachine guns. The nine-year-old had less than 30 seconds of on camera instruction and fired just one shot on semi-auto before the instructor switched the weapon to fire full-auto. The girl was unprepared for the Mini Uzi’s recoil, and the gun yanked hard left. This screen cap was taken a fraction of a second before the fatal shot was fired. Some people are rushing to blame the parents for the incident, and I’d say that they do bear some degree blame. They did, after all, decide to let a small child fire an automatic weapon. I place the bulk of the blame, however, on the Arizona Last Stop gun range in White Hills, which sadly lived up to its name. The parents trusted this company to provide a safe environment and adequate instruction for the child. Arizona Last Stop failed miserably. * I’ve been able to find little evidence that the deceased, Charles Vacca, 39, is a firearms instructor with any certifications. He only completed his concealed carry class in March. He may have simply been a range employee with minimal instruction himself. Note: If this story sounds vaguely familiar to you, it may be because you are remembering a 2008 incident where eight-year-old killed himself firing another Mini Uzi in Connecticut. Edward Fleury, a former police chief, had arranged the event where the child was allowed to fire the weapon, was found not guilty of manslaughter charges in that incident. The “instructor” in that incident was a 15-year-old boy.